Accra, July, GNA - Nana Akomea, Minister of Information, on Tuesday announced that from the beginning of August,a levy of two-and-a-half per cent would be levied on goods and services to support the National Health Insurance Scheme. The levy would be collected by the Valued Added Tax (VAT) Service; managed by the National Health Insurance Council and cover a wider range of goods and services compared to VAT. However, "the levy would not be charged on a range of carefully selected goods and services such as medical, water, education, electricity, fishing nets, basic agricultural products and foodstuffs to ensure that the less privileged in society are not overburdened". Nana Akomea, who was addressing a news conference to launch the Levy, said it would complement the two-and-a-half per cent contributions to be collected from the Social Security and National Insurance Fund (SSNIT). He said other sources would include money that might be allocated to the Fund by Parliament, money that accrued from investments made by the Council and grants, donations, gifts and any other voluntary contributions". The NHI Act was passed last year by Parliament to replace the current "Cash and Carry" System, under which patients paid for medical services at the point of delivery. 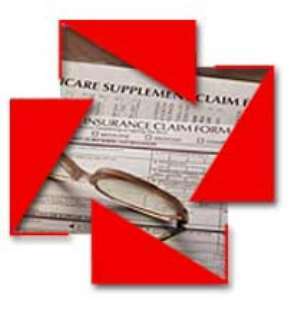 When the scheme becomes effective, an insured patient would not pay directly for health services rendered. "The Levy would not be added to the cost of exports... exports will, therefore, attract a zero rate", he said. Nana Akomea said the success of the scheme would depend to a large extent on the quantum of revenue the Levy was able to raise, adding, "this will in turn depend to a great extent on how the public embrace the levy..."
Mr Frank Adu, Chairman of the Council, explained that each subscriber would pay on the average 72,000 cedis annually, which did not represent the full cost. He said the Government would bear 80 per cent of the total cost while subscribers would pay the remaining 20 per cent. He commended Government for the bold step it had taken to ensure quality and affordable health care delivery and appealed to all to embrace the concept.